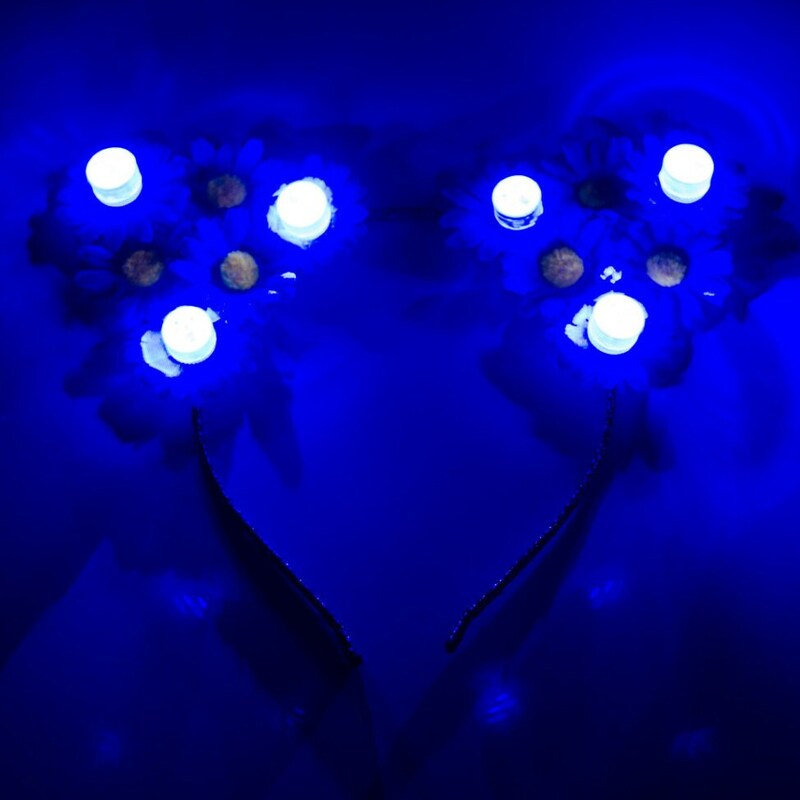 Sparkle and shine when you wear a pair of Kitty Katrina Blue LED Cat Ears! 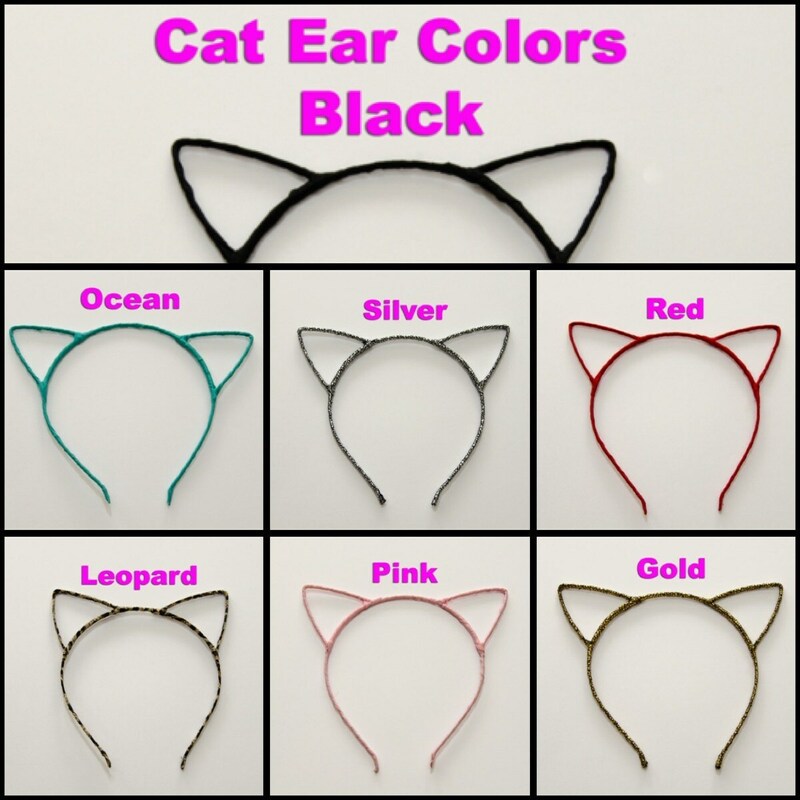 Product Details: 1 Headband is included in this purchase. 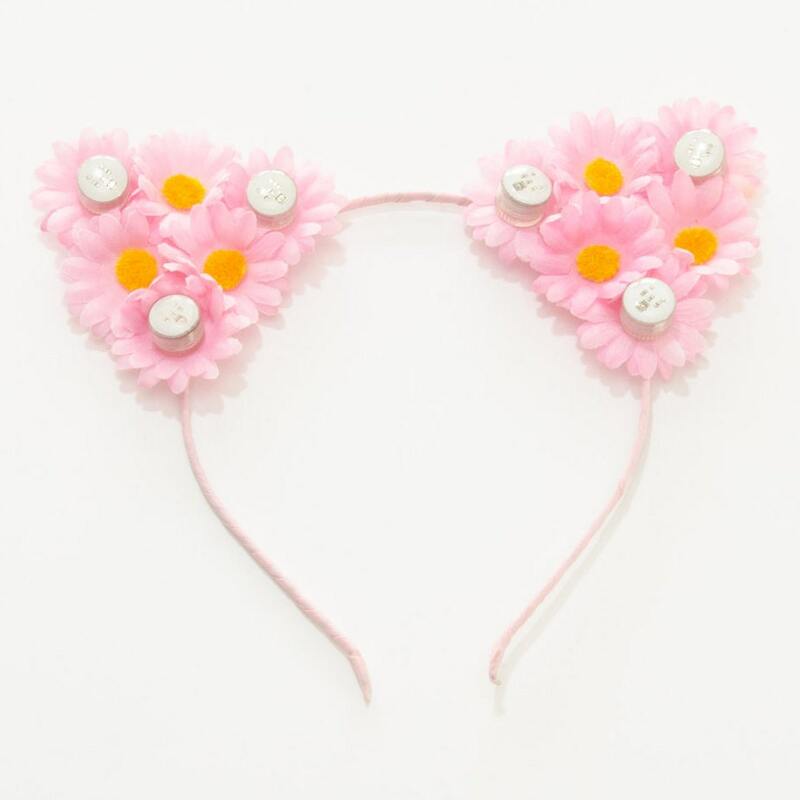 This Headband fits most head sizes. 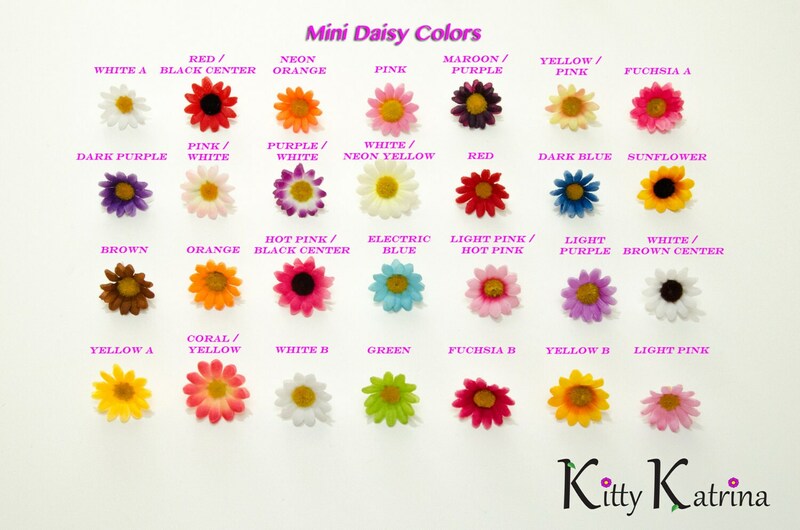 The back of the ears will be covered in a leopard print felt fabric so these ears will be beautiful from front and behind :) Each daisy is roughly 1.3"-1.5" in diameter. The LEDs are blue FLASHING lights. Extra Batteries for each LED Light are included with your purchase. To operate the LED Lights, gently turn light head to the RIGHT to turn ON, or turn LEFT until blinking STOPS. AVOID water on LED Lights to ensure long-lasting wear.